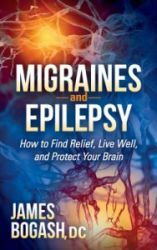 ⬅ ARE MIGRAINE HEADACHES DANGEROUS? It is very well accepted that there are many things that can be done to contribute to a healthy, full term pregnancy. The healthier the couple is prior to conception (yes–BOTH parents), the NON-reliance on assisted reproductive technologies to achieve pregnancy and the better mom takes care of herself during the pregnancy to greater the likelihood that the pregnancy will be uneventful. So what specific things can we do? One thing that has been linked to preterm birth is inflammation. Inflammation can be driven by an uncontrolled infection somewhere in the body. Bacterial vaginosis (infection in the vaginal vault) has been linked to preterm birth. Higher intakes of healthy fats in the form of wild caught, low mercury seafood has been shown to lower the risk of preterm birth. This is likely because a higher intake of omega-3 fatty acids along with a decrease in omega-6 fatty acids is anti-inflammatory. This particular article gives additional insight into how controlling infection in the body can have an impact. In pregnant women with periodontal disease who refused dental care, the use of a non-alcohol antiseptic mouthwash was associated with a 74% reduction in the risk of a preterm birth. 74%!! What a simple intervention to have a massive impact. On the reverse side of prevention, it should make us all reconsider what poor lifestyle habits that contribute to inflammation will do to the trajectory of an otherwise healthy pregnancy.